How to blog for your Brooklyn Business? Let us do it for you! #DearBrooklyn… Letters from some of Brooklyn’s finest residents and guests! Saturdays are awesome in Brooklyn!! And last Saturday was no exception! #Wu-tang Clan brings the 36 Chambers back to #Brooklyn! From Author to Doctor!? Yup. #Brooklyn #Mural #Artists out there….! We are looking for you!! What’s popin in the lab…! #DoBrooklyn like Sindija does #Brooklyn!! Do Brooklyn like we #doBrooklyn! What’s Warm and Cozy in Brooklyn?!! What’s going on in Brooklyn this 4/20 Saturday? I’m over it…. Hello spontaneity! Pizza by the Slice, just got even better!!! Whaaaaat!!? That new kind of “Loosie” spot popped up in Brooklyn! Last week you did it again Brooklyn, serendipity in #Williamsburg, or “Billsburg” as I like to call it. I was on a mission again, you already know…, this time I was on the South Side. I hop out the whip by my peoples Mohammed’s Bodega on the corner and out of nowhere, I here the call, “Truly”! To my surprise my peeps Jun, an RC racer soon to come to the surface, was rolling by with his peeps, we chop it up and come to find out, he was able to help me complete my mission right then and there. The timing couldn’t have been better. So that was settled and we parlayed for a bit around his friends’ grandmas spot on Hope, before I bounced. Look for more Letters coming soon. Chosen letters will be published and some even 360 video recorded!! What’s going on in Brooklyn this Saturday? 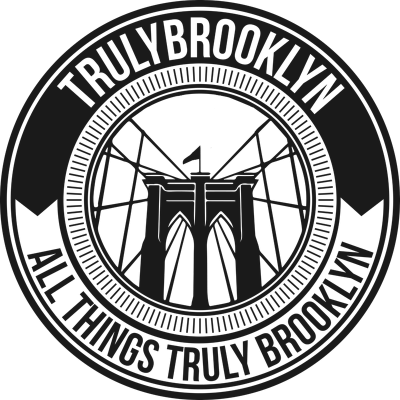 TrulyBrooklyn on #dearBrooklyn by Damani h.
Ketriana Yvonne on #dearBrooklyn by Damani h.
© 2017 TrulyBrookly Inc. All rights reserved.